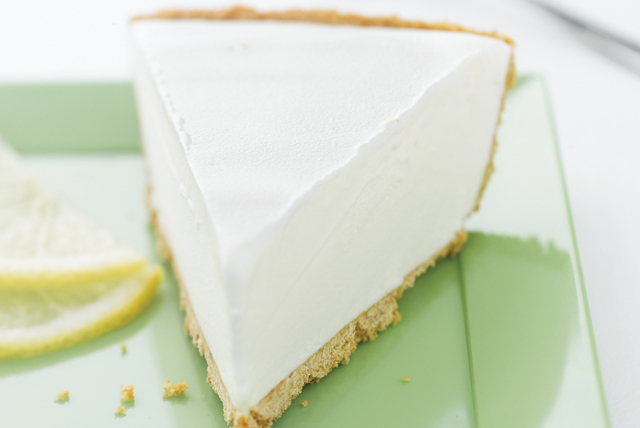 A filling of lemonade drink mix, vanilla ice cream and whipped topping is spooned into a graham cracker crust and frozen for a super-easy pie. Add water to drink mix in large bowl; stir until dissolved. Add ice cream; beat with mixer until blended. Whisk in COOL WHIP. Freeze, if necessary, until mixture is thick enough to mound. Freeze 4 hours or until firm. Remove from freezer 15 min. before serving. Let stand at room temperature until pie can easily be cut. Serve with berries. Trim 30 calories and 3g of fat per serving by preparing with light vanilla ice cream and COOL WHIP LITE Whipped Topping. Prepare using KOOL-AID Orange Flavor Sugar-Sweetened Soft Drink Mix. Omit ready-to-use pie crust. Melt 5 Tbsp. butter; mix with 1-1/4 cups graham cracker crumbs and 1/4 cup sugar. Press 2 tsp. crumb mixture onto bottom of each of 48 paper-lined mini muffin cups. Prepare ice cream mixture as directed; spoon 1-1/2 Tbsp. into each cup. Freeze 1 hour or until firm. Sprinkle lightly with yellow colored sugar. Top each with 3 fresh blueberries.